Professional Geologists’ Day is this Sunday. Why not celebrate with your favorite Geologist? Make a weekend of it!! 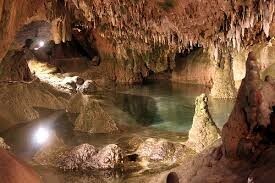 But no matter what you do this Sunday, please take a moment to think fondly of your favorite Geologists!! 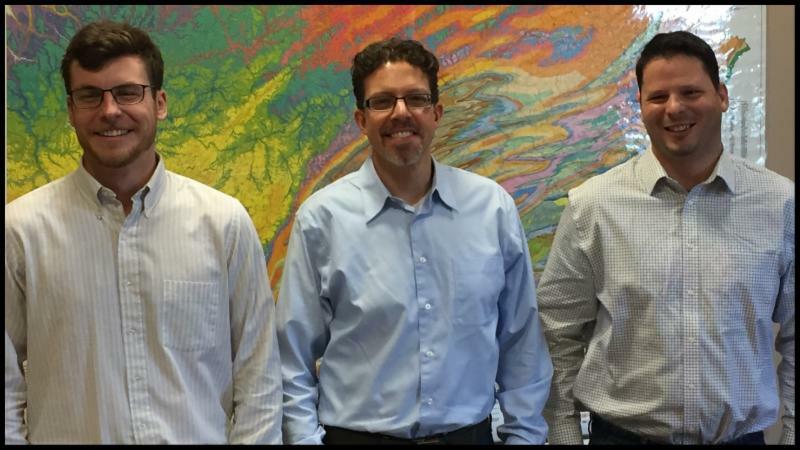 March Newsletter – Act 2 TGM, Vapor Intrusion, & more! Since our inception in 1977, site investigation and remediation have remained at the core of our business with many of our clients and sites residing in Pennsylvania. 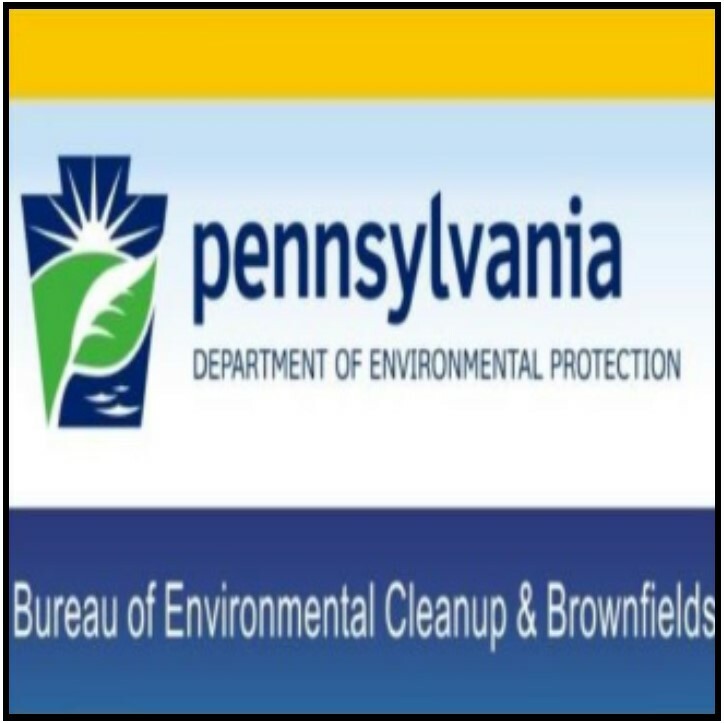 Prior to the adoption of the Land Recycling and Environmental Remediation Standards Act (Act 2) in 1995, regulatory closures of cleanup sites were on a case by case basis, wrought with inconsistencies and sometimes frustration on all sides. It was the goal of Act 2 to bring a consistent site remediation process to the Commonwealth that would facilitate the reuse of unused or underused commercial/industrial properties. 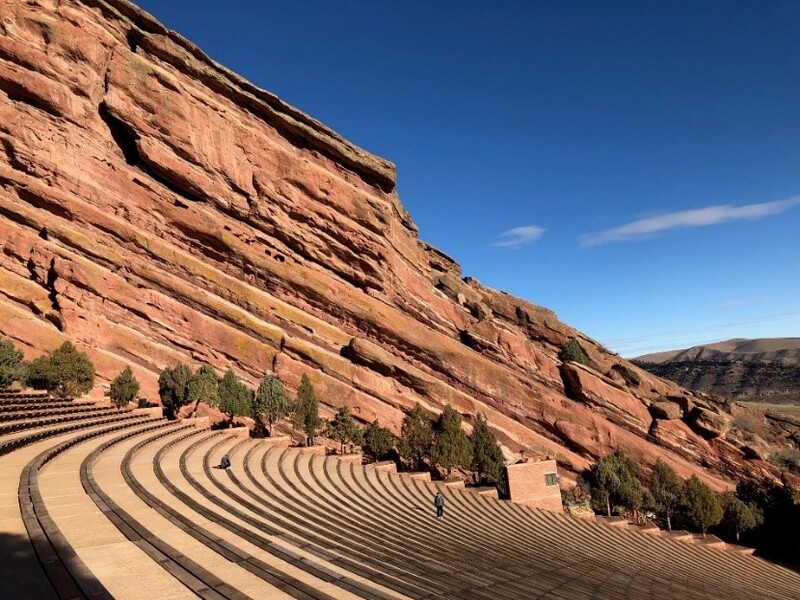 While that goal has been largely realized, experiences over the many years since 1995 have led to many changes and incremental improvements to the process. The most recent and highly anticipated improvement to the Act 2 process is the publication of a revised Act 2 technical guidance manual (TGM) on January 19, 2019. While the regulations that established Act 2 (25 Pa. Code Chapter 250) provide the framework for the Land Recycling Program, the TGM provides a user’s manual for the Act 2 process. The prior version of the TGM was published in 2002 and was in need of a significant revision to reflect what was learned over the decades working with Act 2 and the changes in the science of site investigation and remediation. A significantly expanded section detailing the assessment and remediation of separate phase liquids (SPL) at both Act 2 sites (voluntary cleanups) and cleanups conducted at regulated storage tank facilities under the Corrective Action Process. Of particular importance, scientifically grounded endpoints to free product remediation were added. The prior TGM did not originally include detailed guidance for the assessment of vapor intrusion. This void was later filled by a supplemental vapor intrusion TGM section that was most recently modified in January 2017. This version of the vapor intrusion TGM has been integrated into the current 2019 TGM. 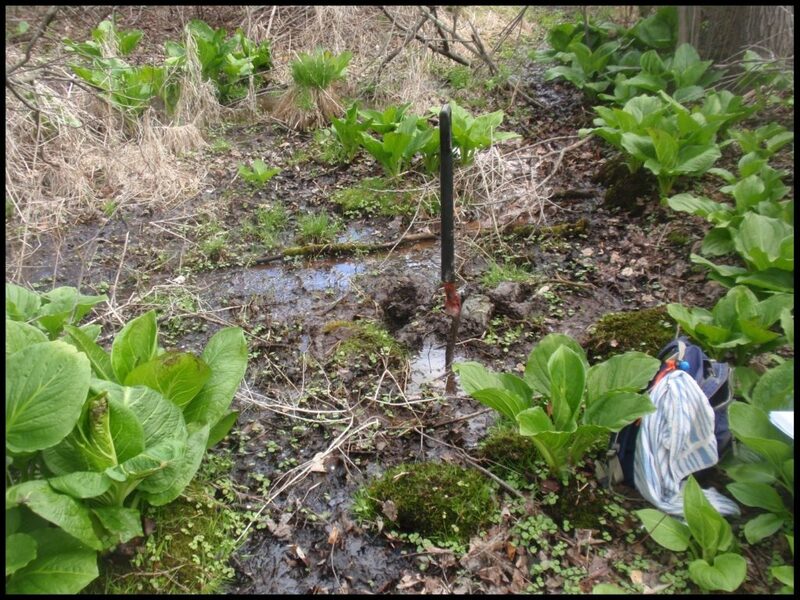 Similar to vapor intrusion, the prior TGM did not provide detailed guidance for proper groundwater monitoring well construction and abandonment. A standalone “Groundwater Monitoring Guidance Manual” was established in 2001 prior to the TGM, however it quickly became outdated. The updated TGM includes a new detailed section dedicated to this topic. The new TGM includes clarified and expanded sections pertaining to the establishment of environmental covenants consistent with the Uniform Environmental Covenants Act and the topic of post-remedial care. As a company, we use the TGM on a daily basis under a wide range of circumstances. Our client might be a commercial developer looking to build houses on an abandoned contaminated commercial property, or a homeowner looking to restore their property value following a heating oil spill, or a regulated tank owner working through the Corrective Action Process following a release. 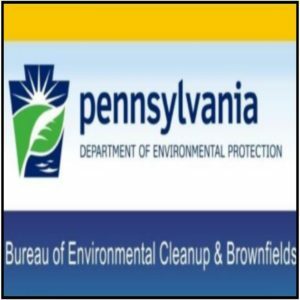 Regardless of the reason for the cleanup, if it’s being cleaned up in Pennsylvania, your consultant and your regulator will likely be applying the Act 2 TGM to your site. Given the significant improvements to the TGM, we see these improvements translating to improved outcomes for our clients involved in remedial projects in Pennsylvania. Please contact us if you have any questions regarding the application of the Act 2 process to your remedial project. For many brownfield redevelopers and commercial property owners, evaluating and managing the threat of vapor intrusion has become an unwelcome, but not uncommon, challenge. As urban renewal projects continue to “repurpose” old manufacturing buildings, replace old dry cleaners at retail shopping centers, and plow over gas stations, the potential for contaminated soil vapors to intrude into buildings continues to grow. 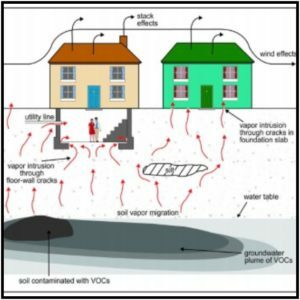 To understand whether vapor intrusion is truly a concern at your property, it is helpful to understand the baseline causes and processes of soil vapor intrusion, and to maintain trusted experts to help separate true potential health threats and viable solutions from the smoke and mirrors. Vapor intrusion occurs when vapors migrate from subsurface contamination into an overlying or adjacent building. In order for vapor intrusion to occur, first there must be a source of the vapors. The source is most commonly soil or groundwater impacted by volatile organic compounds (VOCs). Once in the vapor phase, these chemicals begin to migrate through the subsurface, and potentially into overlying buildings. The risk, or problem, comes when the occupants of that building breathe these vapors that can result in negative health effects. This may all sound familiar to radon — because it is! 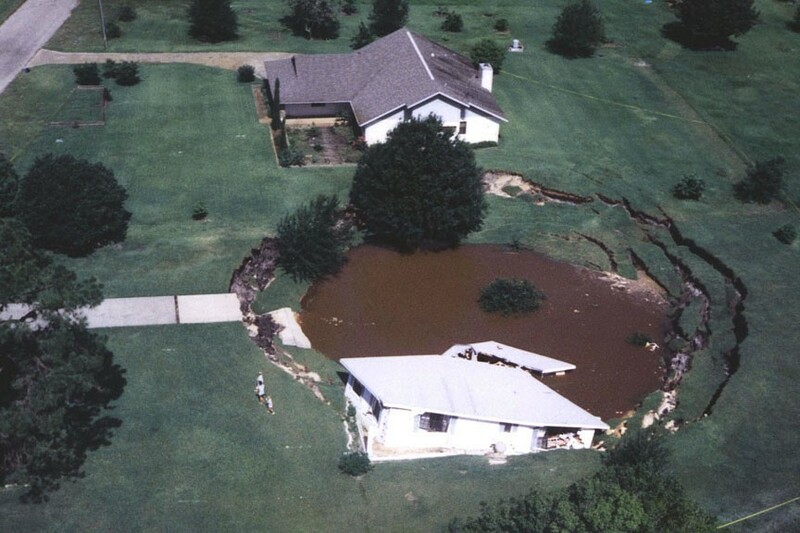 The realization of vapor intrusion as a concept stemmed from the concern over radon intrusion that took hold in the 1980s. In the case that contaminated soil or groundwater is identified as a potential source for vapor intrusion, state and federal agencies have published extensive guidance on steps to evaluate risk to surrounding buildings. Depending on the relative location of the impacted soil or groundwater, the evaluation may include only a review of existing data versus screening values, or it may require sampling of 1) the air between the soil particles within the source area, 2) the air beneath the slab of the building, or 3) air within the building. This data can then be evaluated to determine if mitigation measures are warranted. Brickhouse Environmental’s scientists and engineers understand the many variables that can impact soil vapor intrusion to buildings – including site-specific soil and rock conditions, preferential utility pathways, and building construction. If vapor intrusion is found to be a material threat at your property, there are options for mitigation. In new construction, vapor barriers can be installed beneath the building to prevent the migration of vapors to indoor air. For existing structures, sub-slab ventilation systems can be designed and installed to remove contaminated soil vapors from beneath the building and ventilate it to above the roofline. This continues to be the most common and successful approach. If a vapor intrusion concern is identified at your property, contact our experts to help verify the source and design the most cost-effective and least disruptive solutions for your site. 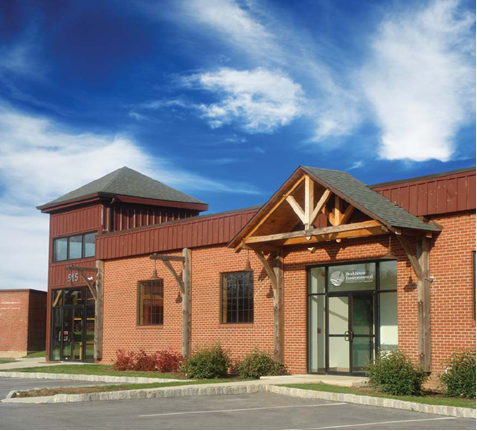 Brickhouse Environmental has an opening in our West Chester, Pennsylvania office for an Environmental Scientist/Geologist Project Manager who is looking for an opportunity for responsibility and growth in a vibrant, well-established, and growing company. The selected candidate will be responsible for scoping, performing, managing, and completing multiple concurrent project assignments in a team-oriented environment. The selected candidate will also be expected to play a significant role in the continued growth of our company, through project management and business development, and eventually staff development, and mentoring efforts. If you have any questions about your site or project, or need a Professional Geologist, Engineer, or Licensed Site Remediation Professional, please contact us at 610-692-5770. Top Stories – What’s New in 2019 ? The hard work and efforts made during last year have paid off- In 2019, Brickhouse welcomes good news and wishes to congratulate our valued staff on their various career successes. Long-time employee and registered Professional Geologist (P.G. ), Douglas Schott, has now added another state of licensure to his resumé: New York. Having been registered in the state of Pennsylvania and Delaware for over ten years, he has now completed the requirements for P.G. status in New York State. Congratulations Doug! Registered Professional Geologist, Jeffrey Christopher, recently succeeded in the rigorous Licensed Site Remediation Professional (LSRP) testing. Each Year, New Jersey accepts only a small number of candidates for testing, of which number, even fewer are chosen to be licensed. We are extremely proud of Jeff, who is now an LSRP in the state of New Jersey. Way to go Jeff! Stephen Huxta is now a registered Professional Geologist and holds a Masters Degree in Hydrogeology from the University of Pennsylvania. We heartily congratulate Steve, who has been with Brickhouse Environmental since the start of his professional career and has worked hard every single day. Excellent work Steve! We are proud of our staff and look forward to a bright year ahead! 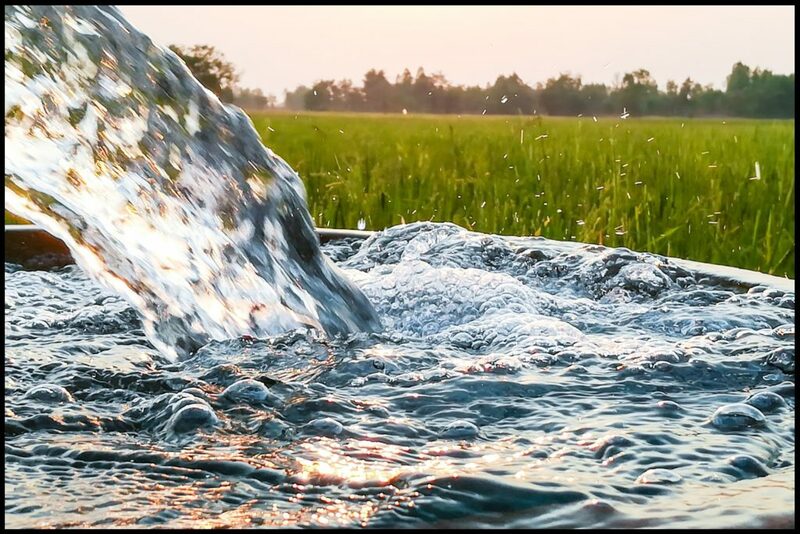 On January 18, 2019, the New Jersey Department of Environmental Protection (NJDEP) announced proposed interim ground water quality criteria for perfluorooctanoic acid (PFOA) and perfluorooctane sulfonate (PFOS), emerging contaminants that are extremely persistent in the environment. The DEP has developed draft interim criteria of 10 parts per trillion for each of these chemicals, lower than current standards or guidelines in any other state. The DEP has requested public input through Feb. 19, with the goal of making these interim criteria effective within the next several months. These criteria will remain in effect on an interim basis, until the DEP adopts formal rules setting formal standards for ground water and drinking water. The interim ground water criteria will be used by the DEP, parties conducting remediation, and Licensed Site Remediation Professionals in making decisions about ground water remediation strategies in impacted areas. These criteria will also apply to regulated dischargers to ground water, including industries. The 2018 Clean Water Rule eliminates the significant nexus determination, streamlining the jurisdictional review process and allowing land use decisions to be made without employing a team of lawyers to determine what puddles can be filled without a permit. The 2018 Rule provides a clearer demarcation of federal jurisdiction of waters and wetlands without hindering the rights of states to implement protections for other waters. Since the passage of the federal Clean Water Act of 1972, filling of “waters of the United States” without a permit has been prohibited. The Act specifically mentions navigable waters and territorial seas, but the EPA and the Army Corps of Engineers quickly expanded the working definition of “waters of the United States” to include tributaries to such waters, as well as adjacent wetlands. Because the Act failed to provide a definition of “waters of the United States,” the EPA, the Army Corps of Engineers, landowners, and the courts have struggled to agree on what other waters are covered by the permit requirement. Since 1977, Brickhouse Environmental has been helping land owners and developers navigate the ever-changing rules and regulations. In 1985 (US v. Riverside Bayview Homes), the Supreme Court ruled that the Army Corps was reasonable in expanding jurisdiction to cover wetlands adjacent to “waters of the United States.” In 2001, following further expansion, the Supreme Court held that the Army Corps could not reasonably claim jurisdiction over isolated wetlands based on their use by migratory birds (SWANCC v. US Army Corps of Engineers). In 2005, the Court created a standard to determine whether an isolated wetland had a “significant nexus” to “waters of the United States” before the Army Corps could claim jurisdiction (Rapanos v. US). In 2015, in an attempt to clarify the definition and address the findings of Rapanos, the EPA issued a Clean Water Rule: Definition of “Waters of the United States.” The 2015 Clean Water Rule greatly expanded the scope of jurisdiction to include not only traditionally navigable waters, their tributaries and adjacent wetlands, and any other water that could be shown to have a “significant nexus” to other waters of the United States, but also included isolated waters, such as prairie potholes, Carolina bays, and vernal pools. The significant nexus determination would be case specific and could be interpreted to include ephemeral drainage ways that only see flow during rain events, and, in the extreme, could include sheet flow as well as channelized flow. The 2015 definition was immediately challenged and is still in legal limbo, in effect in 22 states (including PA, MD, DE, NJ, and NY), with the remaining states still operating under prior rules. Following publication of the 2018 Clean Water Rule in the Federal Register, the EPA and Army Corps will be accepting public comments for a period of 60 days. More information can be found at https://www.epa.gov/wotus-rule. If you have any questions about wetland delineation for your site or project, or need a Professional Geologist, Engineer, or Licensed Site Remediation Professional, please contact us at 610-692-5770. Preparing For Winter – Check Your Heating Oil Tank !! 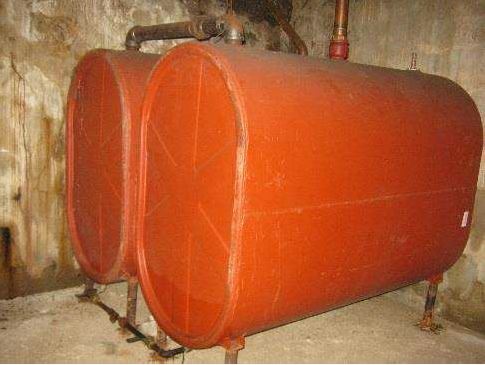 But, there is one important protective measure that is commonly overlooked – Inspect Your Heating Oil Tank !! December and January are the busiest time of year for heating oil deliveries and, not surprisingly, the time of year for the most home heating oil spills. As a public service, the Pennsylvania Department of Environmental Protection (PADEP) has published a handy Fact Sheet (Tips for Residential Tank Owners) with somewhat easy Self-Inspection Checklists for basement and backyard above-ground heating oil tanks, as well as underground tanks. (We don’t recommend “out of sight is out of mind…”). 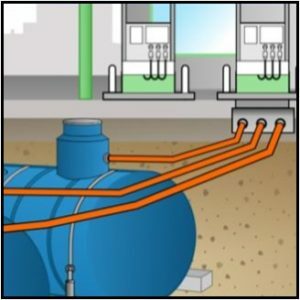 Take the time to inspect your tank and associated piping and fittings. Or have your heating oil delivery company do it. And if you see minor drips, or corrosion of the tank legs, deal with it now. Don’t put it off for later. Believe us, small indications of problems can become very large headaches before you know it. We know, because we’ve cleaned a lot of them up after the spill. And they’re usually not covered by Homeowner’s Insurance. So, inspect your tank – and have a happy, warm, and spill-free holiday season.